Holographic security labels are an excellent anti-counterfeiting measure. 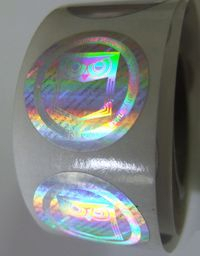 They are produced as the permanent or the tamper-evident holographic labels. Our holographic tamper-evident labels are pressure sensitive and adhere to all forms of products and packaging, but they are damaged in a case of detach attempt. 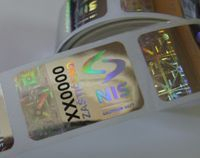 In the production of holographic labels, we offer many security elements, which make the extremely difficult to duplicate, and also allow the customer to easily verify a product's authenticity.